Ed Westwick - Milan Men's Fashion Week for Philipp Plein. . Wallpaper and background images in the Ed Westwick club tagged: ed westwick 2012 milan fashion week. 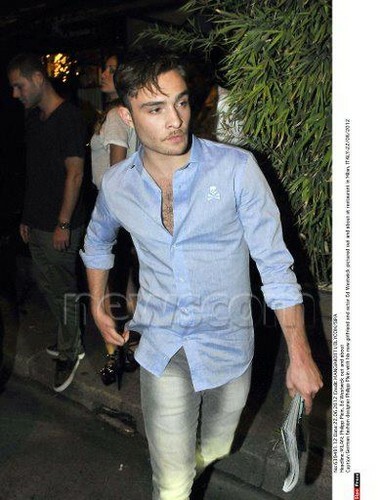 This Ed Westwick photo might contain chaussée, workwear, vêtements de travail, rue, scène de ville, milieu urbain, ville, scène, urbain, cadre, and mise en scène de rue.